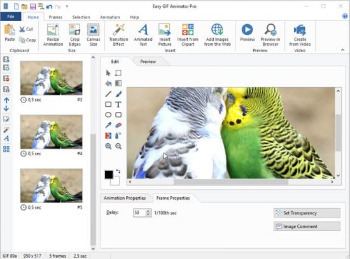 Easy GIF Animator portable is the world’s most popular animated GIF editor and the top tool for creating animated pictures, banners and buttons. With this awesome application you can produce stunning animation effects, achieve unmatched image quality and compression and prepare your images for the web. No other GIF animation software matches our features and ease of use, that’s why Easy GIF Animator is so popular.